In life, they were faithful, unfailing companions. Our furred and feathered friends play a special role in our lives. They are members of our families in ways we can’t fully explain, and when they pass from this life, they are dearly remembered and deeply missed. 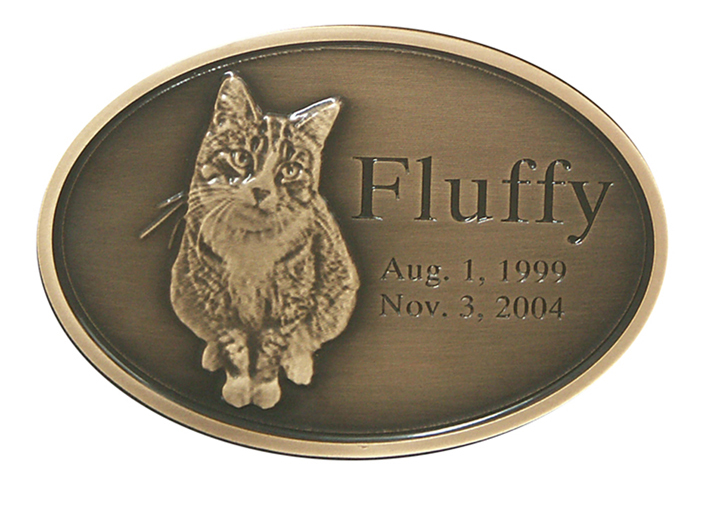 Our pet memorial solutions allow you one last opportunity to give them the same love they gave you in life. From simple medallions to detailed renderings of favorite photographs, we are proud to provide an opportunity to memorialize these treasured loved ones. Let our design team transform your photographs into a loving tribute on your full color or oxide memorial, plaque, medallion, garden stake or wood or bronze urn. 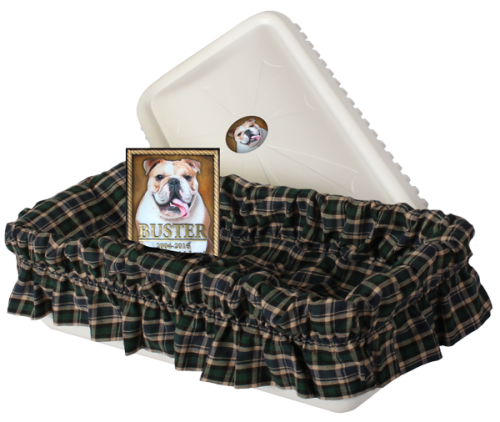 The Tranquility casket vault features handcrafted 100% cotton plaid interiors and a sunburst cover design. 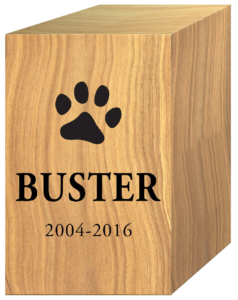 Made of durable high impact polymer and feature a butyl tape seal to ensure a secure final resting place for your devoted companions. Choose from 18”, 24” and 31” sizes. 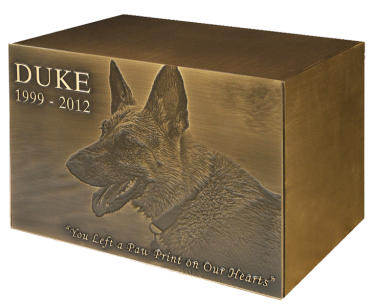 Upgrade to include a photo, name and dates or make it a full tribute with a matching bronze memorial. Available in 18″, 24″ and 31″ inch sizes. 18 inch: ideal for small pets such as birds, gerbils, hamsters and lizards. 24 inch: will accommodate cats, rabbits and small dogs. 31 inch: designed for larger animals. 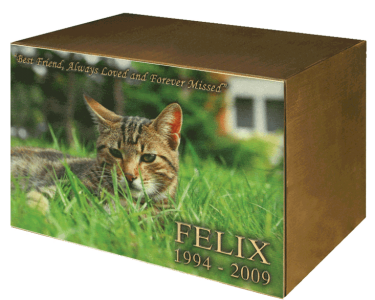 Let our designers work with you to create an oxide or Brilliant Impressions® full color memorial for your cherished companion. 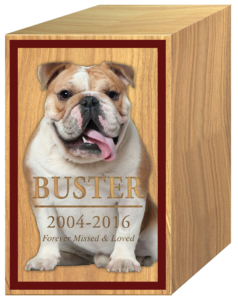 Let our designers work with you to create an oxide or Brilliant Impressions® full color urn for the remains of your cherished companion. Let our designers work with you to create an oxide or Brilliant Impressions® full color medallion available in various sizes for your cherished companion. 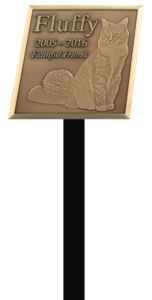 Let our designers work with you to create an oxide or Brilliant Impressions® full color memorial to display on a stake as a memorial for your cherished companion. 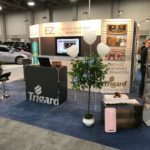 Want to become a Trigard® Dealer? 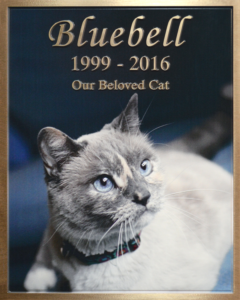 Our total pet memorial solutions allow you to expand your offerings and get your foot in the door with your customers, while giving families one last opportunity to make a full tribute to their cherished companions. From simple medallions to detailed renderings of favorite photographs, we are proud to provide an opportunity to memorialize these treasured loved ones. 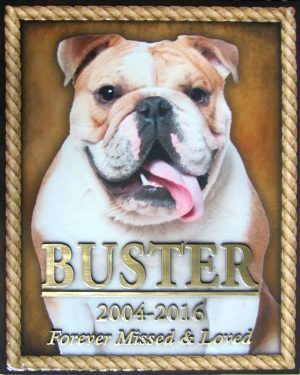 Let our design team transform photographs into a loving tribute on full color or oxide memorials, plaques, medallions, garden stakes and wood or bronze urn. Call Customer Service at 800.798.4900 to add our total pet solutions to your mix.